Platforms help organizations grow by connecting people and conducting business remotely across all devices. Platforms are toolsets that conduct business operations such as publishing, e-commerce, marketing, ​metrics and analytics. ​The Western Cuyahoga Audubon Society platform (shown in the screenshot below) coordinates archive, information, publishing, e-commerce, and marketing operations. 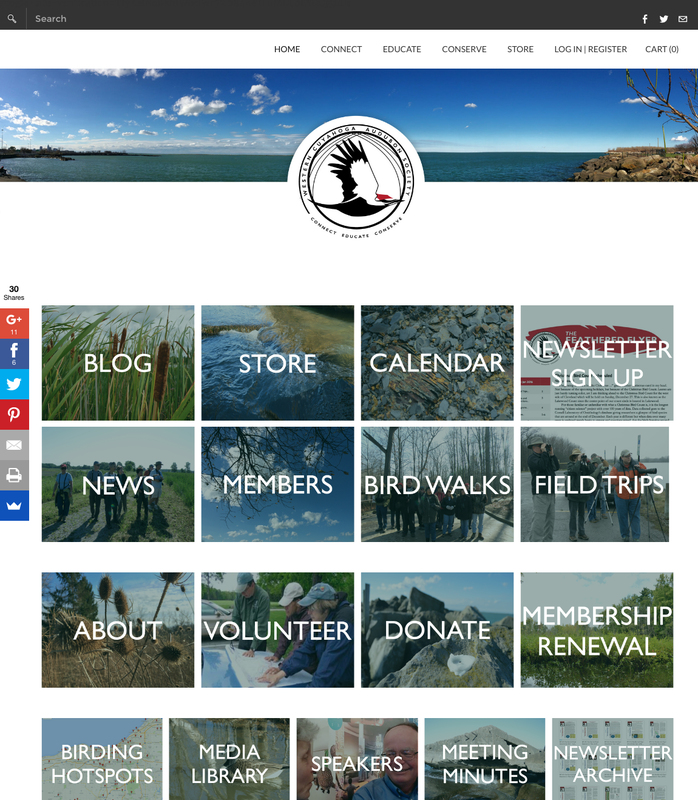 ​Western Cuyahoga Audubon is a Chapter of the National Audubon Society, Inc. and a 501(c)(3) nonprofit organization serving communities west of the Cuyahoga River in the greater Cleveland, Ohio area. Visit Western Cuyahoga Audubon Society Here. 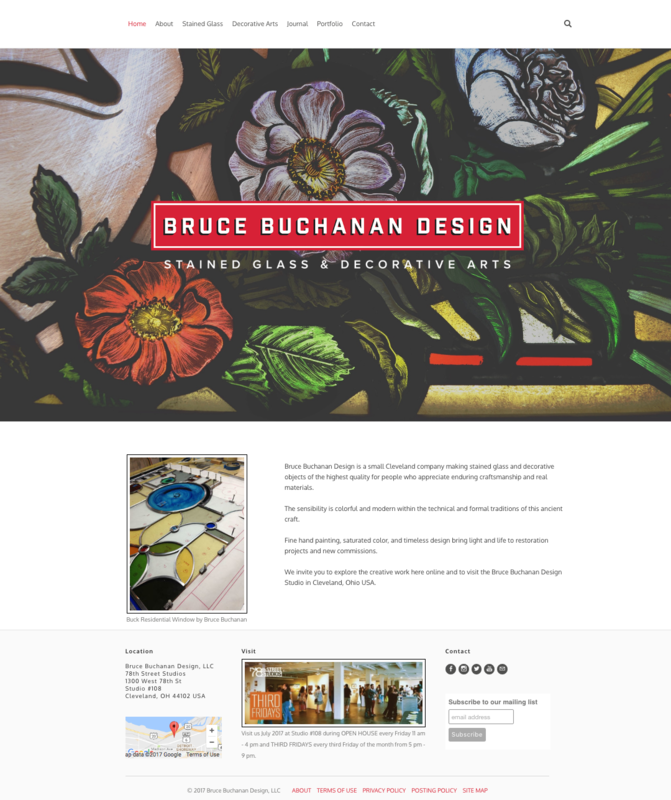 ​The Bruce Buchanan Design project created a brand identity, organizes a private and public library of work related photography, publishes storytelling, automates business operations, and functions as an online resource for people who want to learn more about the artist's creative skills, experience and services. This project is the collaborative result of several creative talents working together serving the designer client lead. 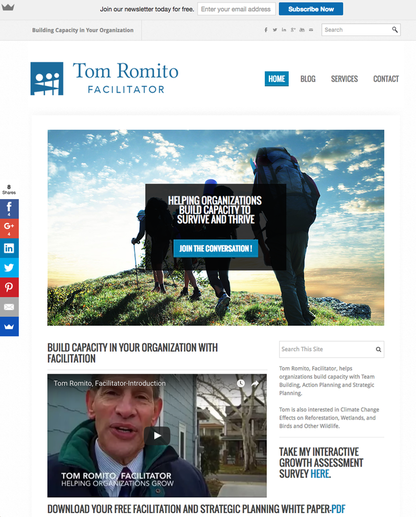 Tom Romito, Facilitator is an information and publishing website that offers online resources, practitioner articles, and professional services. Visit Tom Romito, Facilitator on SoundCloud. The Institute for Open Economic Networks (I-Open) is an information, publishing, e-commerce, and marketing platform that connects entrepreneurs from around the globe. 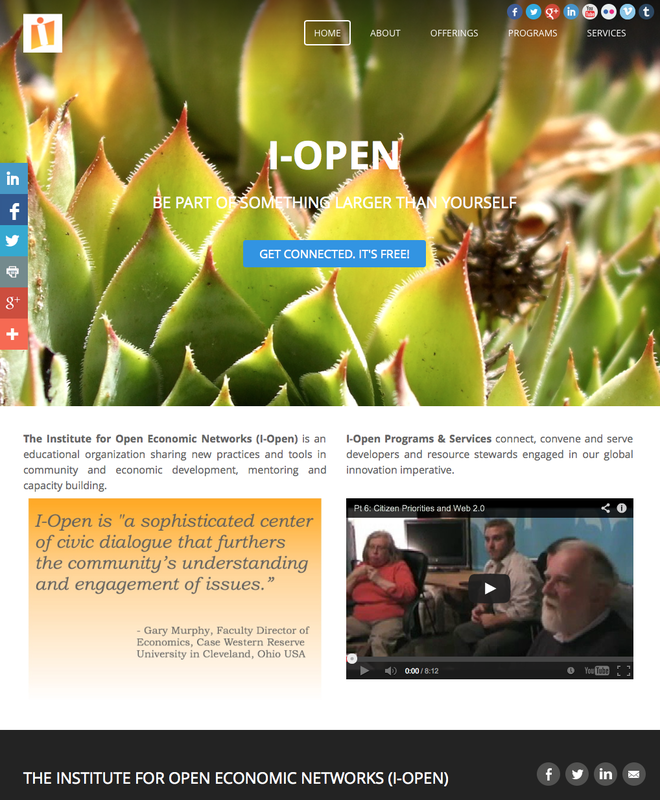 Visit I-Open Here.